There are 70 million users on Pinterest; 80 percent of them are women. The site currently hosts 500,000 business accounts. Users view 2.5 billion pages per month, with a typical visit lasting 14 minutes. 80 percent of new pins are actually repins from other users. Those numbers might seem small compared to other social sites, but the economic returns have made Pinterest a valuable marketing channel. 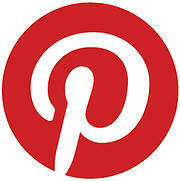 47 percent of consumers have purchased something based on a recommendation on Pinterest. Pinterest shoppers spend $140-180 per order, four times higher than on Twitter and 27% higher than on Facebook. 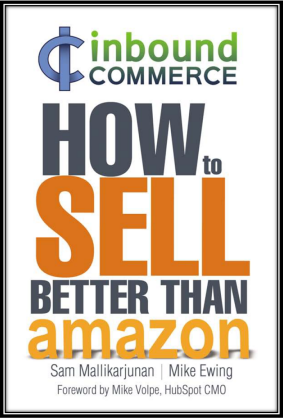 Conversion rates are 50% higher than on other sites. Moreover, a survey from Piqua shows that a pin can generate 78 cents in sales, 25% more than last year. Almost overnight, Pinterest turned into a must-have for any inbound e-commerce strategy, and the site has expanded its range of tools in response. In October 2013, Pinterest launched an advertising initiative for businesses to use in their inbound e-commerce strategies. These promoted pins enable retailers to show up in relevant searches and categories. The initial results, though, show a flaw in the quest to make ads less ostentatious. Promoted pins appear alongside other pins and are only distinguished by a small symbol at the bottom. The pins look nice, but they're so good at blending that they might be overshadowed by non-paid content. If paid pins are hard to find, it's hard to reap a return on the investment. The feature is still new, so Pinterest has time to improve the tool. As time goes on, their designers will likely strike a better balance between taste and impact and create pins that attract potential customers without alienating them. When Pinterest first came along, there was no way to know if pins were impacting a company's sales or brand reputation. Social Fresh CEO Jason Keath talked about this in 2012. "Words become less important, text becomes less important, search is harder, and monitoring who's talking about your product becomes more difficult because consumers are sharing an image of your product." Pinterest launched analytics tools in March 2013, but some marketers still use the third-party tools that came along in their absence. One of these is Shopinterest, which helps retail sites like yours create a storefront right on the site and measure, in dollars and cents, the financial impact of pins. Businesses are still finding ways to grow their brands through Pinterest, but the site continues to evolve to become a key channel for inbound e-commerce.